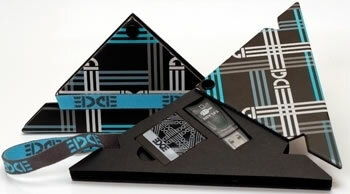 iEDGE DS served as the replacement of the EDGE DS card and was released in the market on January 9, 2010. Even as a replacement, its packaging and structure are still inspired by those of the original EDGE DS as the latter was successful in the market. 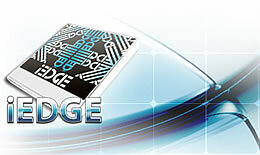 iEDGE DS works with DSi XL, Nintendo DSi, and DSi LL. Unlike the original version, iEDGE DS already has a clone that is already out in the market. The greater problem is that the clone has a packaging that closely matches that of the genuine iEDGE DS. Thus, it would be difficult to identify that one is the real or the clone. The most effective way to recognize that one is real is to put them side by side. Nintendo DS fanatics have been harping about how versatile their portable gaming device is. This is largely made possible by having a certain degree of technical knowledge as well as possessing the right DS tools. This includes MicroSD card, card reader, and flashcarts. It is also necessary to have a media adapter that has many functions. EDGE DS is one of those multifunctional media adapters that are designed for the Nintendo DS. With such handy adapter, you can use homebrew DS applications and games, multimedia applications, and most especially with downloadable commercial DS games. Unlike the other media adapters, the EDGE DS supports MicroSDHC cards, and up to 32 GB to boot. It works perfectly well with Moonshell so you can view movies and listen to MP3s. The EDGE DS has exactly the same size as the original DS game cartridges. As such, you won’t see anything sticking out when you insert it into the slot. The MicroSD card that comes with the EDGE DS is not spring loaded, so it is sturdier. After checking how the flashcart fits snuggly in the slot, it was time to test its performance. Each of my 10 downloaded games worked perfectly fine without lags or freezes. When tested on Moonshell, there were hardly any lags. Homebrew games run so smoothly and with no hitches. The falshcart is very easy to use so you can switch applications or games anytime you want. Overall, EDGE DS is one reliable media adapter and since it supports MicroSDHC, it’s probably one of the best flashcarts available in the market today.